I finished reading The Hunger Games by Suzanne Collins yesterday, and I am really looking forward to the movie coming out in March. For a while, I had been turned off to the series, thinking it was the next Twilight. But it is a good book, and I would strongly recommend it to college- and high school-age young adults who are not readers. I will not get into the synopsis of the book, other than the basics that it takes place in a dystopian world where most of the people are poor, living at the mercy of the government. And the government (the Capital) requires a yearly Gladiator-style tribute of one teenage boy and girl to compete in the Hunger Games. The victor survives and gets to help out his or her district. The book is clearly catered to Generation Y Millenials who have no interest in reading, and instead waste their time playing video games. Which is why I like the book: It can serve as a gateway to give high schoolers a fascinating, popular book that will interest them to read. And perhaps they will pick up another dystopian novel like 1984 or Fahrenheit 451. Anyway, the book has all the things a popular book has: Romance, drama, action, suspense. It is not fully original, but who cares? It does its job as a coming-of-age novel well. Younger readers will gain access the political and ideological values the novel not-so-subtly suggests (government corruption, etc.). One of my main critiques of people of my generation is that they do not read. Well, that is because they think books are boring. 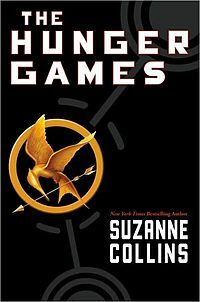 But The Hunger Games is interesting and will actually entertain young adults enough to continue reading the series. Hopefully it will instill a life-long thirst for reading, something few people my age have. I will finish up the series these next few weeks, hopefully (assuming I can get my hands on the books, which I may have to buy). Anyway, I also finished Reamde, a high-tech thriller by Neal Stephenson, last week. While the story is not earth-shattering, its portrayal of the 21st-century Internet-connected, video-game-playing world is impeccable. In the book, a computer virus for a World of Warcraft-type game by a Chinese hacker causes a chain of events with so much action that it puts a James Bond movie to shame. Seriously, it has more than 500 pages of non-stop action. And now, for my raison d’etre: I received 1Q84 by Haruki Murakami as a Christmas present from a co-worker earlier this evening. I previously read the first two chapters as a sample on my Nook-and I am already obsessed with the book. I seriously have a high hope that this book will be the best book I have ever read. And that’s saying a lot. 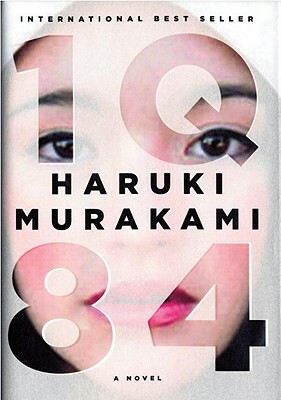 Quick synopsis: It is a Japanese take on 1984, the location being Tokyo in 1984, where a woman, Aomame, takes a shortcut through Tokyo, leading to her perceiving the world as slightly different than how everyone else sees it. I’m a sucker for a good fantasy novel, so I’m already hooked. I will begin 1Q84 tomorrow. Also, I plan on reading Everything is Illuminated by Jonathan Safran Foer this Christmas vacation. So say you just read The Hunger Games and liked it. What should you read next? P.S. My first post in a few months! I was too busy with school, but I should post more often now.